The hydraulic upsetting machine is very suitable for upsetting the end of round steel, steel pipes, long rods, bars and so on. The slide is on the four columns of the hydraulic pipe upsetting press machine, whose function is to ensure the accuracy of the pouching. The slide and the bottom seat of the hydraulic tubular upsetting machine are made by the same lathe on the same coaxial. If the hydraulic pipe upsetter press machine don’t have good columns, the piston rod will skew under the great resistance, the precision of hydraulic tubular upsetter press machine will be poor, and the life of upsetting machine’s hydraulic cylinder will be shortened, and the safety problems will also occur. The hydraulic upsetting press machine’s punch and piston rod are connected by the thread, and which is easy to dismount and install. The column of our hydraulic tubular upsetting machine has good stability, which also can ensure the quality of the upsetting. 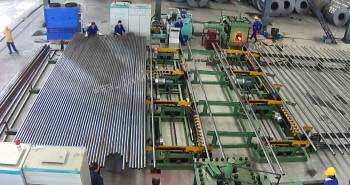 The quality of oil tubing, drill pipe and drill collar that produced by hydraulic pipe upsetting press machine is much higher than that produced by other horizontal forging machines. Next：On August 9, 2018, a USA and India based customer visited our factory. Our Support Team Usually Answer During 24 Hours.